« Pool presents : Ina Regen !!! 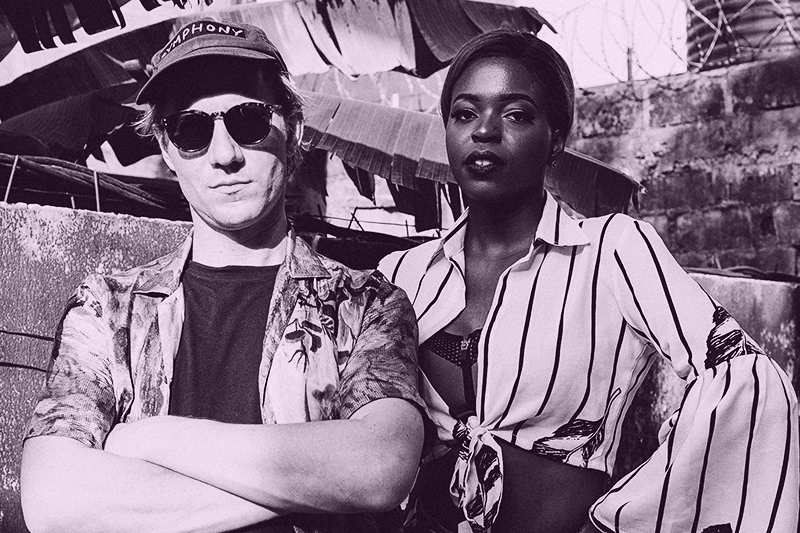 Churning out hit after successful hit, Grammy nominated duo Riton and Kah-Lo sealed 2017 with a rumbling club floorfiller, ‘Fake ID’, via Riton Time. The track sees the highly in-demand pair, who have amassed over 50 million streams on previous releases together, blend their talents to form a stomping house hit which looks set to dominate dancefloors. Utilising Riton’s tribal beat and four-to-the-floor club ready bassline, Kah-Lo’s rich vocals bring dynamic vigour to ‘Fake ID’, continuing her fruitful musical connection with the London-based DJ. The production follows a string of successful hit collaborations, such as ‘Betta Riddim’ and ‘Money’ – the latter of which features global Nigerian superstar Mr Eazi who has performed alongside Riton and Kah-Lo throughout 2017, including his sold-out Roundhouse event last September. The pair are best known for their chart-topping smash ‘Rinse & Repeat’ which has amassed over 47 million online streams. The phenomenal success of the single (including a coveted Grammy nomination for Best Dance Record, and being named one of the Top 10 most played songs on BBC Radio 1 for 2016 set a precedent for both artists’ respective burgeoning super-stardom, and was followed by last year’s Afrobeats-infused summer anthem ‘Fasta’ – which enjoyed huge global success. With Kah-Lo’s ‘Fasta’ playlisted by BBC Radio 1, 1Xtra and Kiss Fresh, picked as Annie Mac’s Hottest Record as well as Clara Amfo and Mistajam’s Tune Of The Week, Riton’s latest track ‘Deeper’ featuring MNEK has been gaining monumental support since its release, with an ever-climbing number of streams and nationwide club play, enjoying several weeks in the Radio 1 Specialist Chart. With both artists establishing themselves as huge in-demand names this year, ‘Fake ID’ continues their meteoric rise, and showcases the unmistakable sound carved out by the Riton-Kah-Lo partnership, with the track due to serve as a real club floor filler this year.